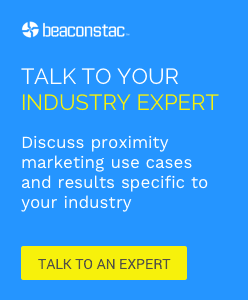 We are back with our latest roundup of must-read posts on beacons. This week’s compilation is packed with super insightful, not to mention actionable content on how beacons can help brands retarget consumers online, based on offline behaviour; what are Groupon’s plans with Proximity Marketing, an interesting beacon case study on Bonnaroo Music Festival and more. So read away! 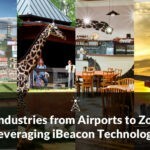 As many speakers at the MediaPost IoT: Beacons Conference early this month mentioned, beacons are capable of much more than pushing coupons and user reviews to people in-store. These devices offer a new layer of consumer intelligence, a highly precise map of real-world physical activity that can be tied back to digital actions and exposures. In fact, Unilever’s initial efforts to glean offline shopper data for mobile targeting this month exemplifies the role the technology could play. Check out this article to learn how Unacast, a Norwegian startup plans to achieve this by creating global platforms for proximity service providers (PSPs) that let brands and retailers retarget consumers online, based on their offline behaviour. According to a recent Business Insider report, beacons are predicted to influence up to one on every four dollars spent in retail stores by 2016. In fact, many industry experts are of the opinion that proximity marketing will be one of the most dominating marketing trends of 2015. Even to this day, most brands are unsure about how to leverage beacons and integrate it with their mobile strategy. If you are one among them, then this ebook covering a number of proximity marketing campaign success secrets will help you ace your next campaign. Groupon recently announced that they will be launching a new product using beacons, aimed at giving local merchants targeted access to consumers. Merchants will be able to use these beacons to tailor and launch consumer-targeted promotions via proximity signals. Further, this kind of mobile tracking could also allow deals to be tailored to the day of week and time of day. Check out this article to learn how Groupon plans to push outside the realm of daily deals by facilitating hyper-localized marketing for merchants. Bonnaroo, an annual four-day music festival held at Tennessee, that draws upto 80,000 attendees every year, recently deployed 100 beacons at the campgrounds and entryways of the event. However, the manner in which they used iBeacon technology is a great lesson to many brands out there. Instead of pushing offers or deals, they used beacons to create an enhanced interactive experience for their visitors with non-intrusive proximity based messaging. And the results were amazing: 20% of attendees who downloaded the app were found to engage with beaconed messaging, inspite of the organizers not having advertised about it in anyway. Check out this article to gain more insights on the compelling conclusions that beacons offered them with. With the emergence of beacons and the ability to push messages to apps on mobile devices, location-based advertising is back at the top of the hype cycle. However, there is risk involved here. For example, if the advertiser pushes the right message but at the wrong time, the consumer may decline to engage in the future, losing them a potential purchaser forever. Adding on to that, using location to understand the context of a user is a far more difficult than it seems as first and requires advertisers to be very careful in their approach. Check out this article to gain more insights on contextual and location-based mobile marketing.